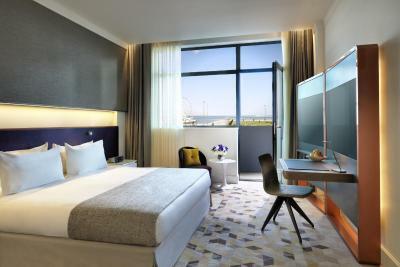 Lock in a great price for Intourist Hotel Baku Autograph Collection – rated 8.6 by recent guests! Excellent location. Comfortable beds and good food. Nice hotel, perfect location close to city center. The service was great, and the room was beautiful. Of course, the view to the Caspian Sea was fantastic. We would stay there again and again. I'd recommend this hotel to everyone. Special thanks to the reception staff "Farida". She is collaborative and gave us many options for rooms( connected and with balcony). The room was clean, very quiet and very relaxing hotel. Super as always. I appreciate their attention to visitors, was such a great feeling to communicate with you as the only one who’s staying in the Hotel I appreciate their efforts and want to thanks all well oriented staff . Good hotel 20 mins away from majority of attractions, but walk along the seafront to get there was lovely. Taxis were also readily available outside entrance for those not wanting to walk. Outside bar good. 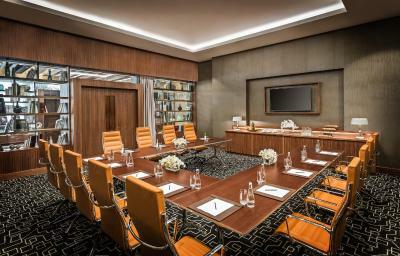 Intourist Hotel Baku Autograph Collection This rating is a reflection of how the property compares to the industry standard when it comes to price, facilities and services available. It's based on a self-evaluation by the property. Use this rating to help choose your stay! 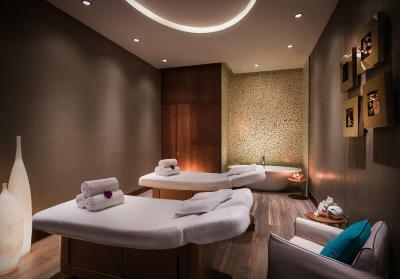 One of our top picks in Baku.Located 650 feet from the Caspian Sea shore, Intourist Hotel Baku Autograph Collection features a spa and wellness center. Free WiFi and free private parking are available on site. The Maiden Tower a 20-minute walk from the hotel and the Carpet Museum is 2,950 feet away. The distance to Baku Train Station is 2.8 mi, and Heydar Aliyev International Airport is 16 mi from Intourist Hotel Baku Autograph Collection. Shuttle service is provided upon request. 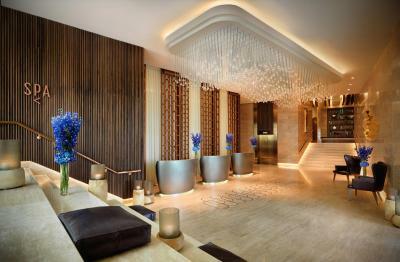 When would you like to stay at Intourist Hotel Baku Autograph Collection? This suite comes with air conditioning, a seating area, flat-screen TV with satellite channels and iHome docking station. The bathroom provides a hairdryer, bathrobes and slippers. It includes a balcony with a sea view, a living room and spa bath. 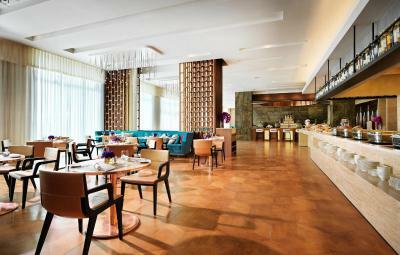 This room comes with air conditioning, a seating area, flat-screen TV with satellite channels and iHome docking station. The bathroom provides a hairdryer, bathrobes and slippers. This twin room has a bathrobe, flat-screen TV and seating area. Located in the heart of the city and overlooking the waterfront boulevard, edging the Caspian Sea, this boutique hotel offers 150 guest rooms and suites. 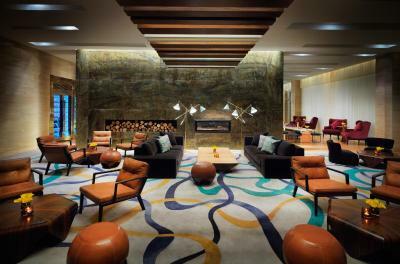 With close proximity to major attractions the hotel offers super connections throughout the city. 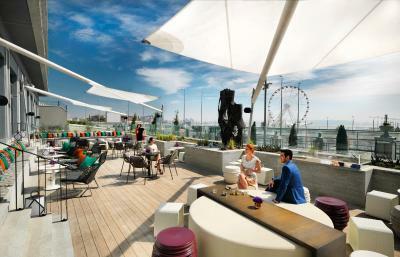 House Rules Intourist Hotel Baku Autograph Collection takes special requests – add in the next step! Intourist Hotel Baku Autograph Collection accepts these cards and reserves the right to temporarily hold an amount prior to arrival. Ordered breakfast for room service.. was not so great though.. While the property was good value for money and had all amenities, my only small issue was the location as it was a considerable walk from Nizami Street and Old City. The curtains are bad - not closing fully + in the suite; the bathroom doors and shoer door arrangement and functioning was uncomfortable. I liked the service, the room was big, and beautiful. The wifi was good and fast. Front Office is professional ! nice view , a good handling by the team .